87 mins. Rated R for adult situations/language, violence. I have a faint memory of being a child and sneaking upstairs in the middle of the night and into the living room. My parents were watching a movie. There was a doll in it that had come to life and was murdering people. The scene was burned into my memory and I was forever terrified and fascinated by the killer doll Chucky. 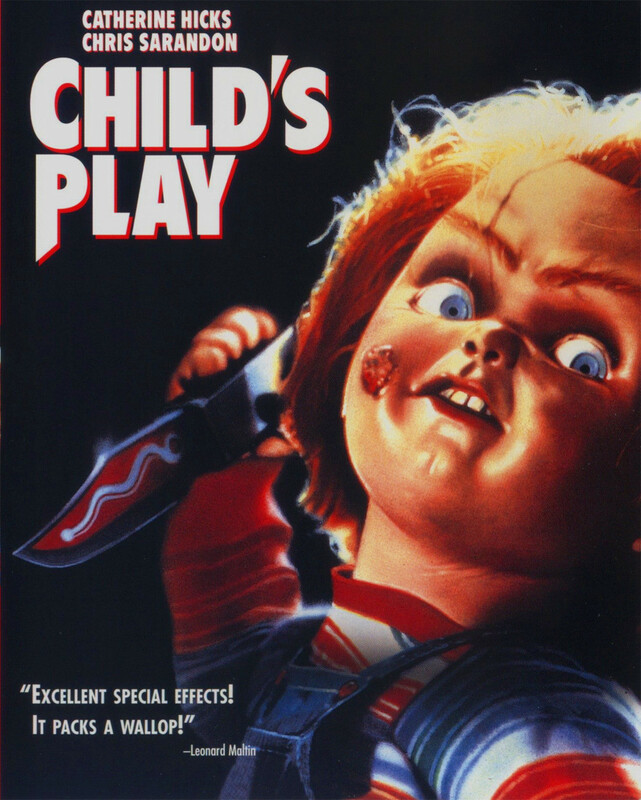 In Child’s Play, Andy Barclay (Alex Vincent) just wants a Good Guy Doll for his birthday. Unfortuntely, Good Guy Dolls are very expensive and his mother Karen (Catherine Hicks, TV’s 7th Heaven, Poison Ivy: The Secret Society) just can’t afford one. That is, until she comes across a homeless guy near her office who has one. Now Andy has a Good Guy Doll named Chucky. But when people close to Andy start dying, Andy starts to look rather suspicious, but he says Chucky is to blame, but nobody, especially Detective Mike Norris (Chris Sarandon, The Nightmare Before Christmas, Safe) believes him. The original Child’s Play is, to me, not nearly as good as the follow-up from 1990, but it definitely provides enough chills to keep the story rather engaging and entertaining. In this film, there is a heavy focus on the unbelievability of the tale and a lot of blame gets placed on Andy as being a mentally unstable child. I really like Alex Vincent’s performance for his age and previous experience, it actually works pretty well. Add in some solid work from Hicks and Sarandon and you have a pretty great cast for this little horror film. Also, how have I not mentioned Brad Dourif yet? Brad Dourif gives such an inconic voice performance to Chucky as well as his limited screentime as the unhinged Lake Shore Strangler Charles Lee Ray as a human in the film’s opening. Only Brad Dourif could play Chucky this perfectly, making him an incredibly underappreciated actor both in the genre and the visual medium in general. Child’s Play is nicely paced, nicely played, and hauntingly memorable. Brad Dourif and director Tom Holland (The Langoliers, Thinner) have crafted an amazing character shepherded by screenwriter Tom Mancini. The original film still stands tall, even if its killer does not. For more 31 Days of Halloween, click here.